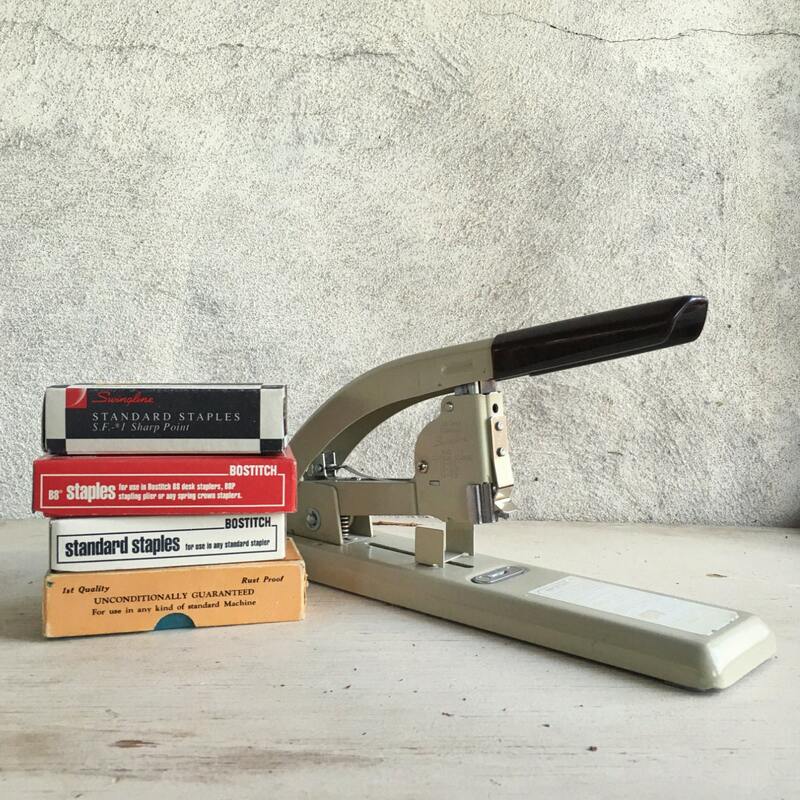 Here we have a vintage Swingline 113 stapler, the strongarm type, plus four boxes of staples--and NOTE: not all of these staples are for use with this stapler! 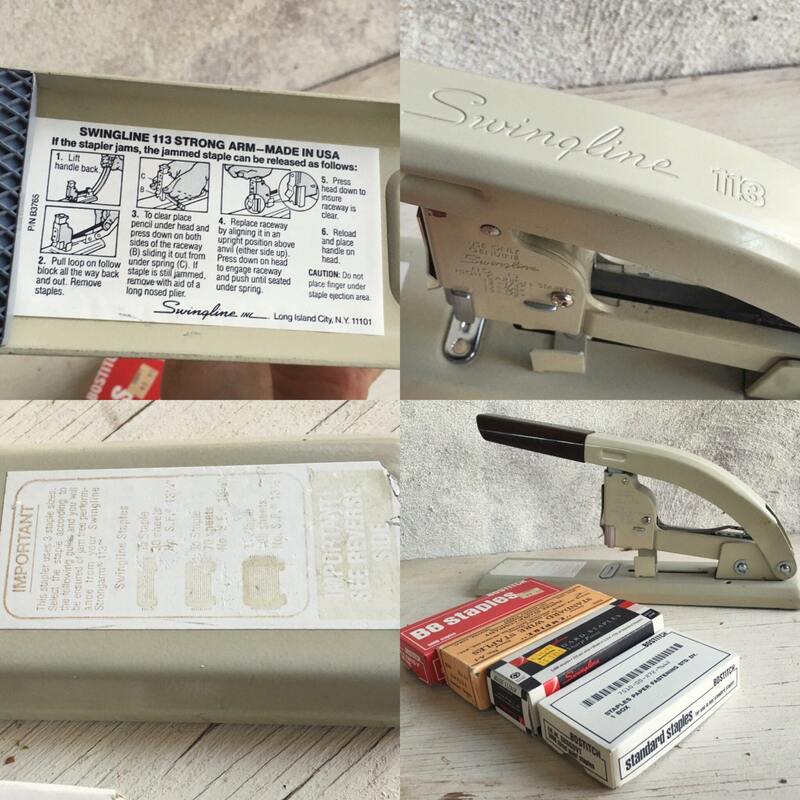 But they're a great old variety of staple boxes, and for the person who is into vintage office goods, each box is a little treasure. 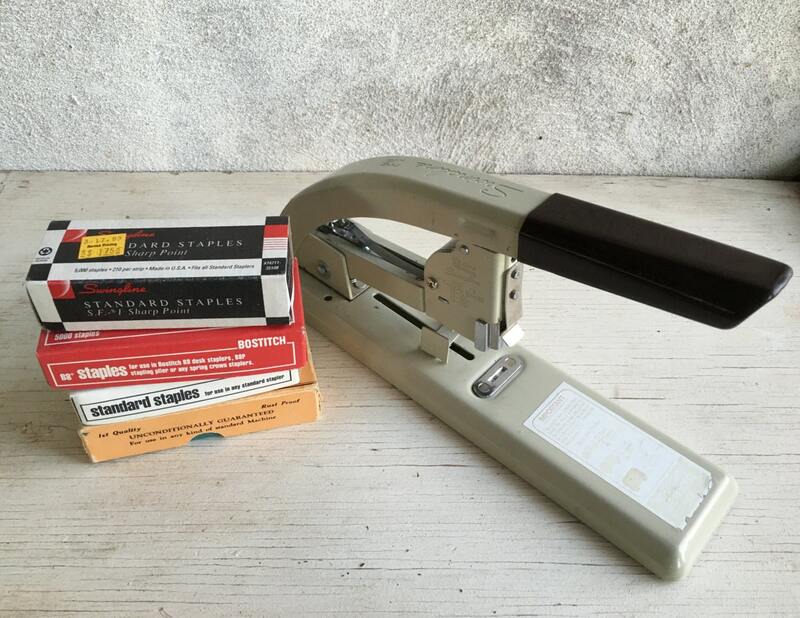 The older "Empire" Standard Wire Staples box is especially cool looking with the old style font and informative, almost Farmer's Almanac look and feel. 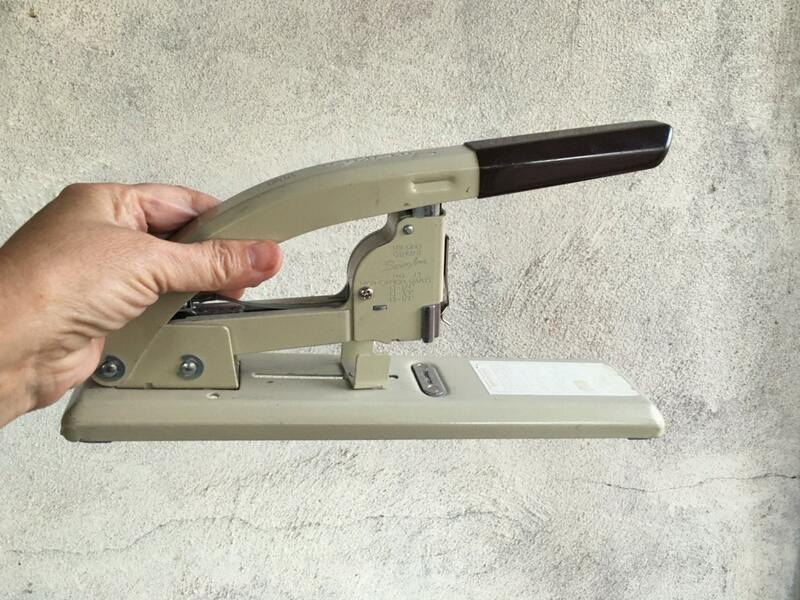 The stampler measures 11-1/2" long. In good vintage condition. 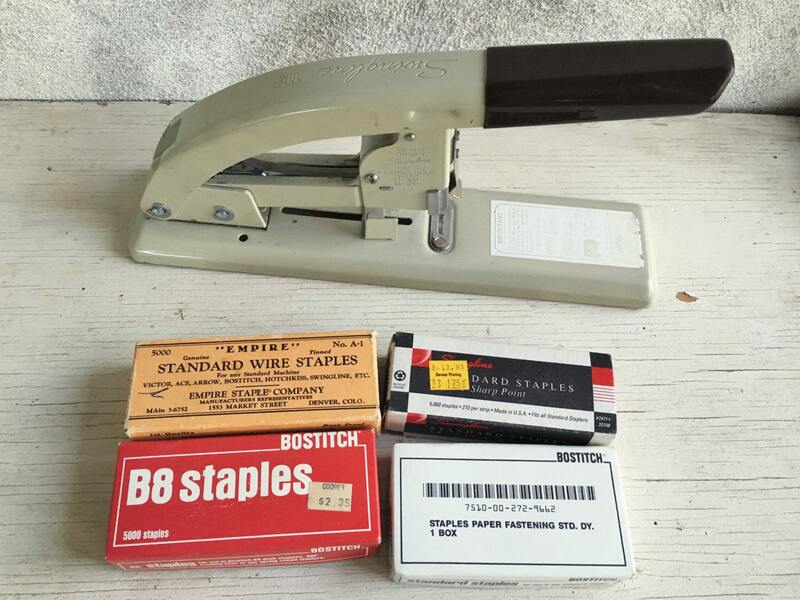 Because being around old stuff makes for good work.